Yes it’s possible! All you need is a lot of courage, time, patience, and good persuasive abilities. Ok maybe I’m stretching it too much but you can play anywhere without an agent but be cautious. Here is a list of Pros and Cons of being a free agent and representing yourself. As all things have its good and bad points but overall if you have determination you could be very successful. With an agent a percentage is taken from your potential salary. The percentage isn’t taken out of your salary but if your season salary is $15,000 and your agent’s fee is 10%, then the team would pay them directly 10% of $15,000 which would be $1,500. It would not come out of your monthly salary! But if you represented yourself you could ask for more money without agent fees. Its not a lot more but it could be more for you. Add bonuses and things how you see fit but of course with negotiations with the management before you sign. Before you sign any contract if you representing yourself its best to get a lawyer to look over it first. Basketball Agents commission and percentages vary each management agency but the range is between 3% – 10%. 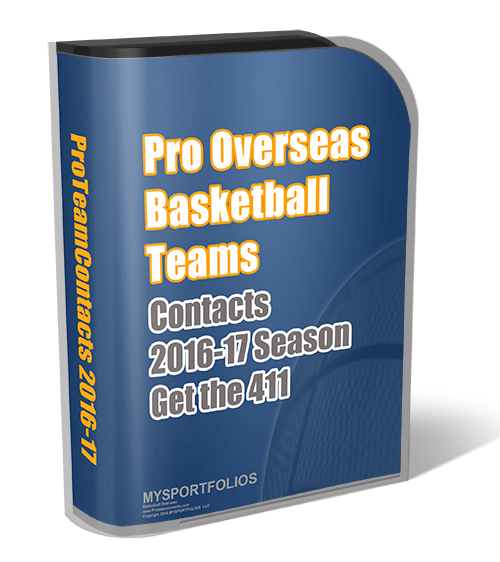 Most overseas agents take between 8% – 10% at average if you do want to get a basketball managemer. NOTE: Be very cautious if you attempt to represent yourself. Contact me for more information and suggestions. I want to know where I can look for an agent. I am interested in an agent. I would like to play ball, but I really need an agent / trainer to improve and enhance my already great skills. I’m looking to play for a contract and an agent to represent me if possible. I’m 6’0 200lbs. Willing to start from ground zero and build my way up.